The Zuckerman Law Firm LLC comes highly recommended by both clients and peers alike. To preserve client confidentiality, names and specific case details have been redacted from the reviews. The reviews listed below were retrieved from Google, Avvo, and related websites. "Mr. Zuckerman was very helpful and efficient. He kept in touch with me all the time and was very professional. I would recommend him for anybody who needs a good lawyer. Thanks a lot!" "Found myself in need of an attorney and had no prior reasons to need one. Because of these reviews I chose to call Mr. Zuckerman about my case. He explained in detail how to proceed with my case and what the process would like. Treated me with respect, honest and professional. Got the outcome my family and I were looking for and are very grateful." "David helped tremendously with my case. From the start he outlined what to expect and informed me of the best and worst outcomes and what our plan was. He kept me informed throughout the entire process and was very professional. In the end he was able to negotiate an outcome that that was in my favor." "I've used Mr. Zuckerman's office to represent my son in a matter involving both CMU and the city of Pittsburgh. He was fantastic. To start with, he gave me immediate attention when I first called him on a Friday evening. From that point on, he worked with me and my son on how to navigate the somewhat unprecise school regulations bringing it to a very positive outcome. Besides dealing with all the legalities involved, Dave was key in providing my son the support he needed to make it through the end of the semester, including the finals week. I recommend him with absolutely *no* hesitation." "David Zuckerman is an example of what an ideal attorney should be. He handled my case with professionalism, answered questions expertly, and made my case feel important and personal. I couldn’t have imagined a better result. I am very grateful for Dave’s help with my case. I would highly recommend his law firm to anyone in need of legal assistance." "Mr. Zuckerman is a true professional. He listened and put my mind at ease. I highly recommend him." "If you are not using Mr. Zuckerman, you are missing out. He was extremely knowledgeable and handled himself even better than expected. After reading the reviews, I thought that there was no way he could be all that was said. I'm not easy to impress and let me be the first to say that he is pretty good! The criminal case that I watched him work was intense to say the least and after a few minutes in court, I knew we had picked the right guy. I hope you are as satisfied as we are. Thanks again Mr Zuckerman." "Few times in life that one can run across legal representation with such honor and prestige, yet David Zuckerman proved the perfect choice as legal counsel during a recent speeding ticket I had received over the summer driving through Pennsylvania after a 16 hour trip. I did not know David, and still have never met him personally, yet he took the time to listen, showed immediately followed up regarding any requested information, arranged for me not to need to attend court in person, (which would have been a major drive from Virginia), and got the speeding citation sentence reduced quickly and efficiently so that NO points were placed on my record. A great relief!" I am very appreciative of his expertise, professionalism and proven results. He is a man of integrity and follows through on his efforts. Thanks again David, and may the rest of you have the honor of working with him as well. "This was a positive experience from my initial contact and consultation with Mr. Zuckerman. He was upfront with me on all aspects of my case. He was always available to respond to any questions or concerns surrounding my case. His knowledge and expertise in the law was the primary reason that the case ended favorably for me. I was very satisfied with Mr. Zuckerman representing me and would highly recommend him for legal services. I have already recommended him to my family and friends." "Dave Zuckerman did an OUTSTANDING job representing my son. He's an extremely professional representative, he always made you feel like you were never alone, and he made you feel like a normal human being that makes mistakes. He completely exceeded my expectations in every way possible. I recommend Dave Zuckerman HIGHLY !!!!" "We found Dave to be extremely responsive and were very pleased with the results he achieved. He kept us fully informed at every step in the process. Could not recommend him more highly." "David Zuckerman has a thorough knowledge of the penal code for traffic violations with experience to match. He used that knowledge and experience to build a successful defense for my speeding citation. He not only had my offense lessened, but had the assessed points removed from the citation. He is professional, proficient, prompt and a credit to his profession. Hopefully I will not legal services again, but if I do, David Zuckerman will be my first choice." I recently had the need to enlist David Zuckerman's services. He responded immediately to my call and handled the situation with the upmost professionalism and expertise. I would highly recommend this Law Firm. 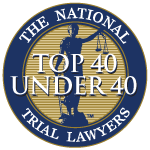 "David Zuckerman handled two criminal cases for my son with great professionalism and with end results that could not have been more favorable. While none of us wants to see our children take the wrong path in life, it does happen. Without the help of David we would not have a better chance at a second beginning. While I hope to not need his services again in the future I will gladly recommend him to any friend or family member that would need this type of help. I am so grateful to have found him. Thank you David Zuckerman." "I have to say dealing with many attorneys over the years, I was greatly satisfied with Dave Zuckerman work on how he handle my case in a very professional matter. My case was very difficult legal matter and he got the job done right. Dave answer every question in a timely manner and was very understanding of the situation I was in. I would recommend him highly on several factors such as keeping me updated on my case answers all my question and keeping me well informed on how this legal system works. Thank you Dave GREAT JOB!!!!" "He was great. Always returned calls promptly. Took care of legal problem with a really good outcome. Thank you David Zuckerman." "Very thorough job. Dealt with the police officer to negotiate a good settlement. Very satisfied and would recommend his services to others." "Dave Zuckerman followed through and was very thorough in getting me the best deal possible. He made it seem like I was the most important client he had, which made me feel much more comfortable. [He] exceeded expectations by following up with the officer before the summary trial. Everything was fantastic. I was very pleased." "Attorney Zuckerman is an excellent criminal justice lawyer. I've relied on him for advice many times and he's always there for me when I need him. I'd recommend his services to anyone looking for an attorney in the Pittsburgh area." "Dave is a wonderful lawyer who will do whatever it takes to get the right result. Extremely hardworking and a genuinely great guy." "David is a well respected criminal defense lawyer that is known to fight hard to obtain justice for his clients. He knows the law and has the skill, both inside and outside the courtroom, to apply it. Anyone from western Pennsylvania facing serious criminal charges should not hesitate to contact Mr. Zuckerman for the best possible defense." "David was an excellent Assistant District Attorney. He has transitioned beautifully into his role as a defense attorney and advocate for his Client's rights." "I had the pleasure of working with David as opposing counsel while he served as an Assistant District Attorney for Allegheny County. David always seemed to get the "big picture" when prosecuting cases, fought hard to convict the tough Defendants and worked harder to resolve cases that clearly called for an early resolution. I have no doubt that David will be an asset to all future clients as a seasoned, well respected trial attorney. I fully endorse David without reservation." "I am a business law attorney who has worked with Dave on several matters. I have been very impressed with Dave. He is a skilled lawyer who does a tremendous job in the courtroom. I highly recommend Dave for criminal law cases." "I handled cases against David while he was an Assistant District Attorney in Allegheny County. David was a confident and hard-nosed prosecutor in court, but was easily approachable and open minded on the sidelines during plea negotiations. I have no doubt that David applies the skills he leaned as a prosecutor to his current practice, criminal defense. I endorse this lawyer."